These awesome little seeds are rich in dietary fiber, protein and Omega-3’s … in one little ole tablespoon! That’s a ton of nutrition naturally present in such a small serving! I adapted this No Cook Chia Seed Pudding from the back of the package for Trader Joe’s Chia Seeds (amazon affiliate link) … which are also the Chia Seeds I buy. Dash of Gluten-Free Vanilla Extract and or any other flavors, like citrus juices or a drop of your favorite essential oil. Experiment. Be creative! Get Wild! … and …. Have FUN! Refrigerate for at least 2-3 hours. Turns into a perfect no cook pudding!! Reminds me of tapioca pudding y’all! I also like sprinkling chia seeds on my salad and into my water! The chia seeds give the salad a great crunch. 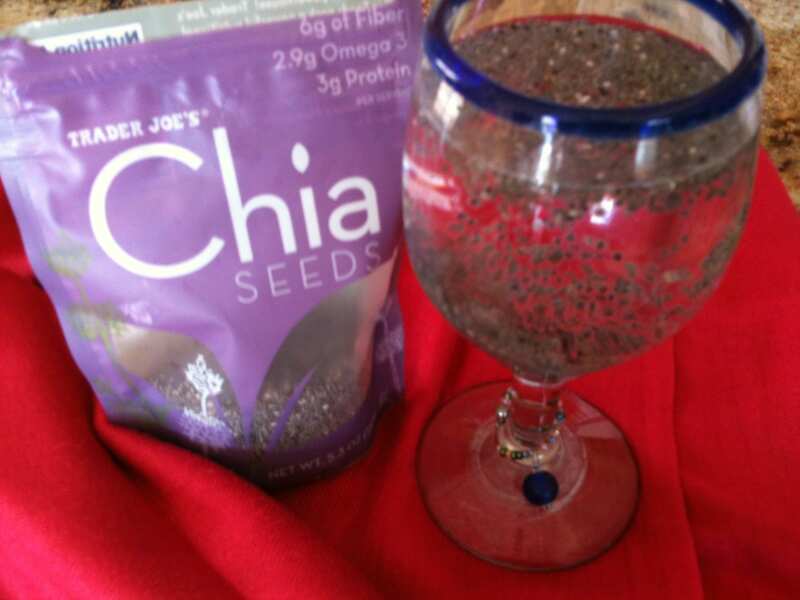 I LOVE the way they swell in the water and the texture and feel of the seeds when drinking my yummy Chia Seed Water!